Your man Darran Jones from that there Retro Gamer magazine was asking about people’s top ten games for the Game Boy Advance. I replied, and decided to use what I’d written and expand upon it for my oft-neglected main website. Which I did. 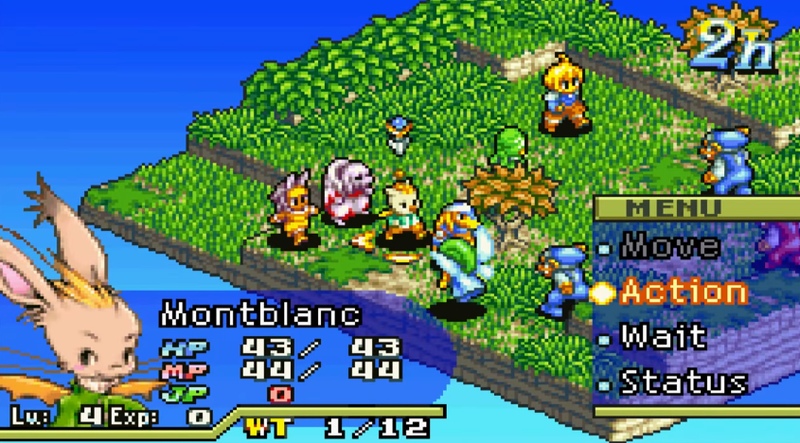 The best game isn’t Final Fantasy Tactics Advance, by the way, in case you were wondering from the screenshot on this post. 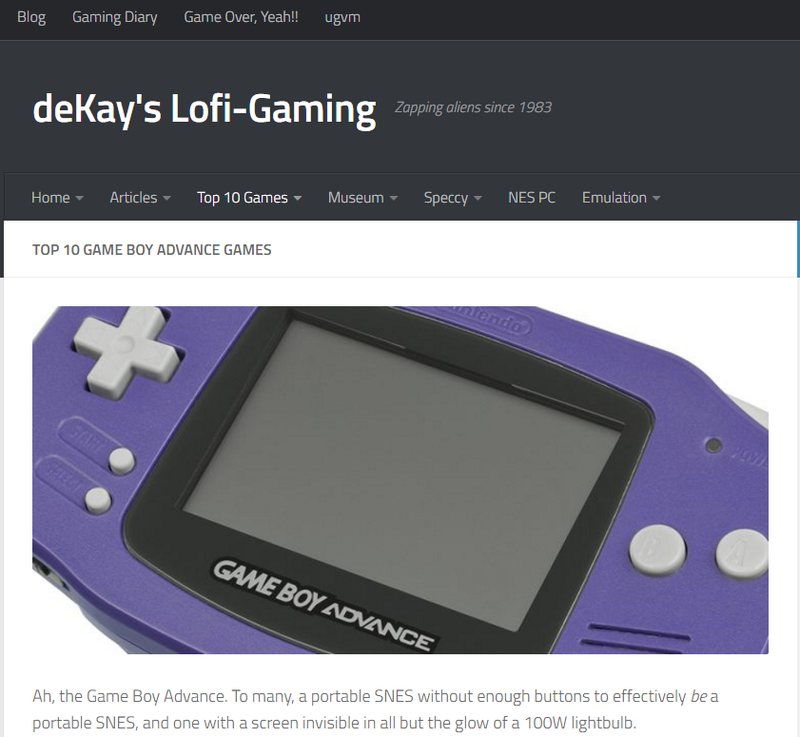 Imaging how out of date this screenshot of my site will be in the future when I update the theme or something.